All other titles? : Paul's M400? Recorded during the prolonged, messy breakup of The Beatles, McCartney is that rare thing, a genuine solo album, with Paul playing everything, bar a few keyboard parts and vocals from 'lovely Linda'. A sparse, underproduced album, some of it was recorded on a 4-track at the McCartneys' new farm in Scotland, as well as the ubiquitous Abbey Road. Many of the songs are no more than sketches, but the whole thing was a canny move on Paul's part, in retrospect, highlighting how overblown the Beatles had become in comparison. 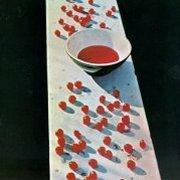 The album has produced only one song of any real consequence, Maybe I'm Amazed, a major hit years later in its live form, although Macca fans rate the album fairly highly. MkII Mellotron on one track, Singalong Junk, an instrumental version of the earlier Junk with a background string part, but nothing you couldn't live without, to be honest. The 2011 two-disc Special Edition adds a handful of tracks, including live versions from almost a decade later and Maybe I'm Amazed from 1974's One Hand Clapping unreleased 'live in the studio' session, complete with Linda's Mellotron strings. 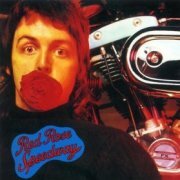 Next up was the first Wings album proper, Red Rose Speedway; in all honesty, it's a horrendously dull album of mid-paced, unexciting early '70s soft-rock, which is probably why they were so fantastically successful, a fact that is largely forgotten these days. Paul plays 'Tron on two parts of the four-part Medley, Lazy Dynamite and Power Cut, although it's effectively inaudible on the former, with only a few string chords towards the end of the latter. 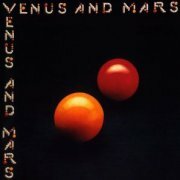 Nothing on possibly the best Wings album, Band on the Run, but '75's Venus & Mars features some vaguely 'Strawberry Fields' flutes (and who else is qualified to play them, eh?) on Call Me Back Again. The rest of the album is impeccably produced boredom, lost in the mid-'70s, when writing songs called Rock Show and Magneto And Titanium Man obviously seemed like a good idea. 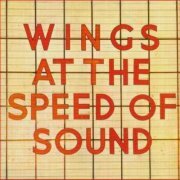 '76's terribly democratic Wings at the Speed of Sound (all members sing on various tracks) has several bits that could be Mellotron, though the only totally obvious one is the few seconds of choir on Wino Junko. I see this is where Linda's Cook Of The House comes from, but as you can see from the review of her album above, although Mellotron's credited, it's totally inaudible (are these even the same versions? ), unless it's providing some (all?) of the sax work. Surprisingly, one really good song in Beware My Love, although both the album's major hits (Silly Love Songs and Let 'Em In) are at least catchy, if infuriating. Wings' only 'serious' use of the instrument, however, was on their next release. Despite Wings being at their commercial peak in 1976, a triple live album seems a little excessive, though it sold well enough at the time (I believe it was to counter a double-LP bootleg that had just appeared). I presume its near-two hours encompasses a whole gig, although it's taken from several different dates, as is often the way with these things. The band were a five-piece at this point, including Linda on keys; now, she was never going to challenge Oscar Peterson, exactly, but that's probably rather missing the point. McCartney wasn't after stunning musicianship, more a workable group dynamic (while Wings weren't exactly a democracy, I get the feeling there was some band spirit at the time), so having his competent-enough wife on keyboards makes perfect sense in that context. Her backing vocals were another matter, but maybe we should just draw a discrete veil over that issue... The album's tracklisting looks quaintly anachronistic now, with many of the songs lost in the mists of time; Medicine Jar, Richard Cory, Time To Hide, anyone? Most of the band's hits are on it somewhere, as is guitarist Denny Laine's '66 hit with the pre-Justin Hayward Moody Blues, Go Now. No Give Ireland Back To The Irish, though... There's even a handful of Beatles songs, in those days before Paul would come to largely rely on them to fill arenas. Essentially, though, it's a Wings set, not an ex-Beatles'. 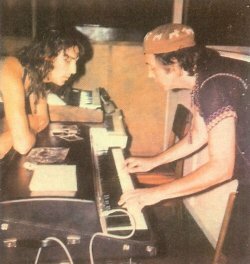 Anyway, alongside the Hammond, Rhodes, Clavinet, MiniMoog and ARP Pro-Soloist, Linda played a Mark V Mellotron, but makes relatively little use of it. At this point, I need to very publicly thank Edd Kolakowski (did I get that right, Edd? ), the band's piano tech on the tour, who also helped regular keyboard tech Rocky Morley with Linda's setup. It seems that my original assumption that you can only hear the MkV on half a dozen tracks falls slightly short of the mark. We actually get a brief string part on Spirits Of Ancient Egypt, choirs backing up the harmony vocals on Maybe I'm Amazed, the flutes from the studio version of Call Me Back Again, a major string part on Live And Let Die, a faint string part on You Gave Me The Answer, the 'doorbell' vibes that open Let 'Em In, the opening sound FX and strings on Silly Love Songs and strings on closer Soily; it's possible there are more choirs hidden away, but I wouldn't care to say. Not the most major use ever, then (all the brass and the rest of the flute is real), but slightly more than I'd thought previously. One real gripe, though: why does the album sound so awful? Muffled, badly mixed... Was it the best they could do with the source tapes? Why? 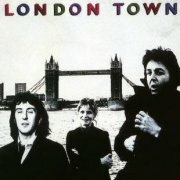 1978's London Town has an updated sound compared to Macca's mid-'70s efforts, but thirty years later, just sounds tired and cynical. As usual, one cheeso hit (With A Little Luck), and an awful lot of filler, with the album clocking in at over fifty minutes. The only point at which they do anything even remotely innovative is on the album's best track, Morse Moose And The Grey Goose, where they stick a piano through a fuzzbox, alongside a clean one. OK, different... Mellotron choirs on Famous Groupies, and while it's possible it's in the background on one or two other tracks, it's more likely to be one of those new-fangled polysynth things. Paul made one more album under the Wings banner, '79's Back to the Egg, but despite rumours, it appears to be 'Tron-free. Once again, I have the irrepressible Mark Medley to thanks for pointing me at something that makes me feel vaguely unclean. 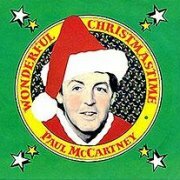 Macca's hideous 1979 festive hit, Wonderful Christmastime, 'features' a fourteen-second Mellotron sax solo around the 2.40 mark, for those of you sick enough to wish to investigate. Interestingly, upon actually listening to the song, as against hearing it in a pub in December, some of the synth arrangements are actually very nicely done - there's one short excerpt that you could play to most people without their being aware of its provenance - but it's still largely shite. 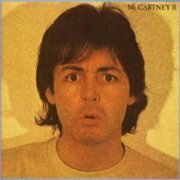 There's Mellotron all over Paul's second solo album proper, McCartney II, from 1980. He plays every instrument on the album, meaning that quite a few things have to be keyboard approximations, and some of those, in those pre-sampler times, have to be 'Tron. I've read that this is a highly eccentric album, and after hearing Temporary Secretary, I don't feel inclined to argue. What was he on? Well, after his '79 Tokyo weed bust, I hardly need to comment... The album has its highlights, even from my perspective; the quite beautiful Waterfalls is excellent, with Summer's Day Song having a similar vibe. Thankfully, nothing else comes close to the infuriating tweeness of Coming Up. Anyway, on the (presumably) Mellotron front, the saxes on the irritating Coming Up have exactly the same 'weak notes' each time round the chorus, and I'm sure I can hear the odd key-click, while the instrumental Summer's Day Song is very clearly 'Tron flute, particularly in the chordal passages. Bogey Music has more saxes, but in a lower register, with yet more saxes on one of the CD's bonus tracks, the interminable Secret Friend. 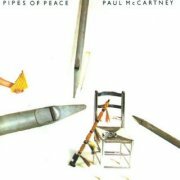 Paul's last Mellotron use until 1989 is on a bonus track on the CD issue of 1983's Pipes of Peace, although I vaguely wonder about the church organ at the beginning of the album. Overall, it's McCartney-by-numbers, with two major hits in the cheesola title track (wasn't that the one with the 'First World War Christmas Day football match' recreation?) and the even more cheesola Michael Jackson collaboration Say Say Say, in the days when they were still friends, before Wacko bought Northern Songs from under Paul's nose. The rest of the album is typical McCartney, and not too horribly '80s, but not something you're likely to want to track down. 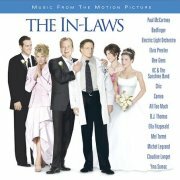 As for that bonus track, Twice In A Lifetime, it's an irritating little song with a passably arranged 'Tron strings part kept well in the background. 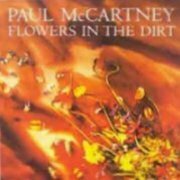 After a rather uncertain period in the mid-'80s, Flowers in the Dirt is critically regarded as Paul's 'comeback' album. Surprisingly, he collaborated on much of the album with Elvis Costello, at a career peak himself, adding a bit of Lennonesque roughage to McCartney's overly sweet style. Most of the album's keyboards are of the then-current 'very digital' variety, although I'm sure I spotted a Wurly piano at one point. Credited Mellotron, for the first time in years, on the reggaeish How Many People, played by Paul, but I have to say, it's totally inaudible, so Christ knows what he actually did with it. 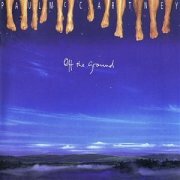 Four years on, Off the Ground is generally regarded as a similar, though slightly lesser album than its predecessor; Costello collaborated again, though only on the writing front this time. 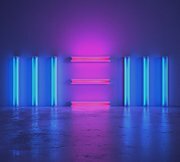 Once again, one credited 'Tron track, and this time you can (wait for it) actually hear the thing, with rather murky-sounding flutes on the intro to I Owe It All To You, making it the first audible McCartney Mellotron since McCartney II. 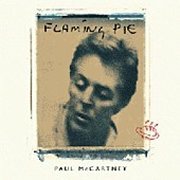 After another four years, and post-the Beatles Anthology project, Flaming Pie (a Lennon reference) is, basically, more of the same; if you're a Paul fan, you'll probably like it, while the rest of us start shifting about in our seats. Yet again, one credited 'Tron track, the ballad Little Willow, although I've no idea what it's supposed to be doing. Paul's massed harmonies? Unlikely. The echoed synth line? I think not. So... what? So what indeed. Paul apparently toured the States with his Mark V recently, though a thorough study of the tour DVD (by someone else) failed to locate it. If it was there, it should be on Back in the U.S.: Live 2002, but having given the album a good listen, the only time I even remotely thought I might have heard it was on The Fool On The Hill, but it wasn't, so we'll scrap that one. 2007's Memory Almost Full is, would'ja believe, his best album in many, many years, the work of a man who seems to have rediscovered his mojo. Top tracks? Mandolin-driven opener Dance Tonight, the XTC-ish Ever Present Past, which has more to do with Paul's massive influence on Andy Partridge than the converse, the rocking Only Mama Knows, which has an almost Thin Lizzy vibe about its riffery, the '60s-ish Vintage Clothes, That Was Me, superb lyrics an' all... Barely a duffer here, to my delight and amazement. It's also his first album in a decade to feature some of his collection of Mellotrons, with strings (alongside real ones) on Only Mama Knows and what can only be distorted flutes on Vintage Clothes, although that would appear to be your lot. My favourite Macca album? I think it just might be. After 2012's mildly bemusing Kisses on the Bottom (because the world needs an album of Macca playing pre-war pop), 2013 brings the rather noncommittally-titled New, recorded with no fewer than four producers, including Ethan Johns and Giles 'son of George' Martin. 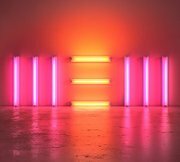 While this gives the record a slightly disjointed feel in places, it also affords Macca the opportunity to stretch out a little and take on new influences (the inspiration for the title?). I think it's fair to say that the album's a real return to form, not that there's much wrong with Memory Almost Full, top tracks including stomping, ever-so-slightly Queenlike (!) opener Save Us, the sentimental Early Days (one of several tracks referencing Paul's youth), the angular Road and the haunting, unlisted Scared, tacked onto the end of Road on the regular release and Get Me Out Of Here on the deluxe version. Mellotronically speaking, we get just the one track (presumably played by Paul), Queenie Eye, which opens with what sounds like a solo MkII Mellotron string part, complete with that distinctive 'underwater' sound from the built-in spring reverb, reiterating throughout the song. 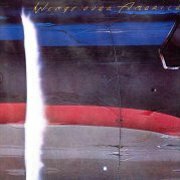 So... have McCartney/Wings made any albums worth buying for their Mellotron use? Frankly, no, although there's a passable 'Macca/'Tron' compilation to be made by someone with a) the original albums and b) plenty of time. So don't look at me.